Air Bear Filter with Activated Carbon Prefilter. Try HealthSmart Filter Free. Save $5.00 on this order. 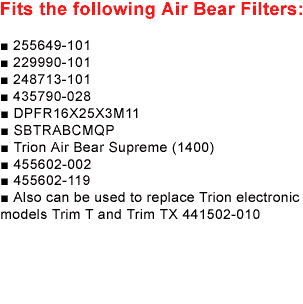 Genuine Trion Air Bear Filters has one of the largest particle holding capacities among residential air cleaners. Designed to maintain a low pressure drop, it will not interfere with the proper operation of the heating and cooling system. Activated Carbon has the ability to capture gas molecules and hold them. The carbon surface is made up of millions of tiny pores, the gas and odors fall into these pores and are trapped there until the pad is disposed. 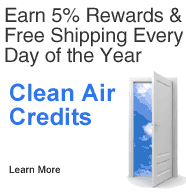 55 Clean Air Credits will be rewarded to you when you buy this item. 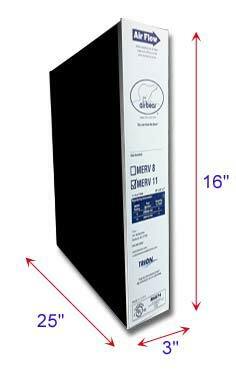 Air Bear Filters | Fits All Trion Air Bear 16x25x3"